The news broke on February 12th, 2013, dumbfounding coaches, fans and participants at all levels of wrestling. The International Olympic Committee (IOC), the body politique that determines the locations, standards and competitive sports in what used to be the world's premiere sporting event, drooped wrestling as a "core" sport for the 2020 Olympic Games. 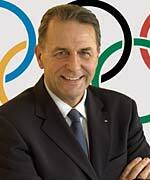 The IOC made the announcement from their headquarters in Laussanne, Switzerland. Evidently the choice of the final core sport came down to wrestling and the modern pentathlon. Wrestling lost. IOC communications director Mark Adams said "the vote by the executive board had been done by secret ballot," and that "This is not what's wrong with wrestling, it's what's right about the other 25 core sports." 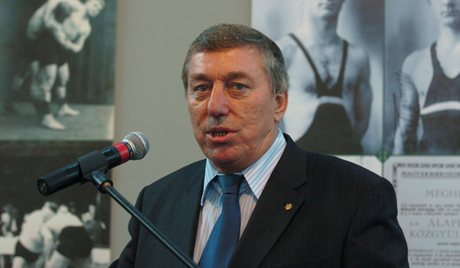 FILA immediately found a scapegoat in the person of then FILA president Raphael Martinetti. On the occasion of the extraordinary Bureau meeting that was convened by Mr. Raphaël Martinetti in Phuket (THA) on 15-16 February 2013, a group of Eastern delegates accused him of being to blame for the eviction of wrestling as part of the 25 core sports for the 2020 Olympic Games. Mr. Martinetti asked for the Bureau's trust in leading the campaign to save wrestling in the coming months, but the Bureau only supported him by 50% of the votes. Mr. Martinetti did not use his casting vote to save his position and announced his resignation in order to give the chance to another President to act upon the situation. Mr. Martinetti will remain a Bureau member till the end of his term in 2014. Now wrestling has to compete with seven other sports to be picked as a demonstration sport, in essence, proving its value. The field of competition includes baseball/softball, karate, squash, roller sports, sport climbing, wakeboarding and wushu. Wushu was developed in China in 1949 in an effort to standardize the practice of traditional martial arts. Socrates, Plato and Aristotle take a backseat to Chairman Mao, evidently, in the eyes of the IOC. March 22, 2013 – USA Wrestling, in conjunction with its Committee to Preserve Olympic Wrestling (CPOW), has created a national marketing and public relations campaign entitled "2020 Vision: Wrestling, Keep The Dream Alive." The campaign has been developed to enhance the worldwide strategy established by FILA, the international wrestling federation. Included will be the creation of a coalition of national wrestling federations, all focused on making certain the IOC Executive Board's recommendation to exclude wrestling as a core sport is not ratified by its General Assembly in Buenos Aires this September. But experts say it is extremely unlikely that wrestling would be voted back in so soon after being removed by the executive board. Make a patchwork quilt with squares exalting your favorite synchronized swimming tandems. Work as an extra for Peter Jackson's "Tom Bombadil and the Barrow Wights - Part VI." Sleep "regular" hours during the night. Episode II: Esprit de "Core?" The 25 "core"" sports for the 2020 Olympic Games are: athletics, rowing, badminton, basketball, boxing, canoeing, cycling, equestrian, fencing, football, gymnastics, weightlifting, handball, hockey, judo, aquatics, modern pentathlon, taekwondo, tennis, table tennis, shooting, archery, triathlon, sailing and volleyball. It has been my opinion that Olympic sports somehow be related to combat activities. Wrestling fits the bill precisely, as it can arguably be called, of all sports in which nobody shoots at you, the hardest. A lot of other fit very well, some only arguably, while others require the battle experience of, well, the Swiss Navy. Athletics: Most athletics (track and field) events pass this test. "Run away to fight another day" explains most running events, and hurdles are just the hedgerows of northern France. The shot put, discus and hammer throws represent throwing heavy objects at opponents. The pole vault is a little iffy. A guy running at full speed with that pole in his hand pointed at me would be a little scary, although I doubt one guy scaling a fortress wall in that manner made any lasting impressions unless the walls were higher than he thought. Aquatics: Swimming makes sense as well, and in all styles, as one should use one's best method in the water to avoid an enemy. Diving was vindicated in 1969 in "Butch Cassidy and the Sundance Kid," even if they did just jump. Synchronized swimming poses a problem. Fire an arrow at an angle an one is bound to hit one of them. Fencing is fine, as is weightlifting as that is needed to move siege equipment and the like. Archery passes without question, and in a combat context so does shooting. The martial arts have their place, and judo and taekwando, although just creating a new name for an existing one after donning a feline costume and inserting plastic vampire teeth should not allow it to be considered separate from others. They could be lumped into one "core," though. Boxing certainly passes muster, and hence wrestling has to as, unless in a ring with a referee, most fights end up on the ground at some point or another. Gymnastics has to be given credence for two reasons: 1) it was on of the first ancient Olympic sports and 2) gymnastics overseers through the years have devised some ridiculously hard things to do which entail a balance of strength, flexibility and balance. But now we arrive at the rest of the sports. Any sport with a ball has to have a lot of worldwide popularity or some friends on the IOC. Basketball, soccer, volleyball, and tennis have worldwide popularity. Ping pong and badminton do also, if one primarily counts the Chinese, and if only from a population standpoint, that is "worldwide." (Badminton actually utilizes a "birdie," leading one to wonder why "snipe hunting" has been ignored.) Cycling is at least something most people have done, but the Tour de France is enough. Rowing and sailing? Sure, the two could be compared to elements of warfare - in a D-Day invasion scenario. Why not lump these two into aquatics? Equestrian is derived from chariot racing, albeit much like "Indiana Jones and the Crystal Skull" was derived from "Raiders of the Lost Ark" (with apparently a similar amount of time passing between them). But handball and field hockey? Those two I really cannot figure out. Then there is the sport named after the most unrecognized Greek hero, Triatheles. In 405 AD, after swimming the Aegean Sea, pushing a scooter until it broke, he ran he died, just shorts of Athens. Hence Athens had no knowledge that the Spartan Admiral Lysander had taken the city of Aigospotamoi, leading to the siege and eventual surrender of the Athenian city-state. And that leave the modern pentathlon. athletic contest entailing five distinct types of competition. In the ancient Greek Olympics, the pentathlon included a race the length of the stadium (about 183 metres [200 yards]), the long jump, the discus throw, the javelin throw, and a wrestling match between the two athletes who performed best in the previous four events. to continue reading, activate your no-risk Free Trial to Britannica Online." "Modern pentathlon is a sports contest created especially for the Summer Olympic Games by the founder of the modern Games, Baron Pierre de Coubertin, and was first contested in 1912. Coubertin was inspired by the pentathlon event in Ancient Olympic Games, which was modeled after the skills of the ideal soldier at the time. The modern pentathlon simulates the experience of a 19th century cavalry soldier behind enemy lines: he/she must ride an unfamiliar horse, fight with pistol and sword, swim, and run." I do hate to admit it but if one put five wrestlers against five modern pentathletes against each other in combat, I have to bet on the modern pentathletes. Horses, epees and, well, guns - those should make the difference. But there is something else about the modern pentathlon that just screams "Olympics!" Might it be that every one of the sports that comprise it are already "core" sport? Of course there might be another reason the modern pentathlon won the last "core" sport spot over wrestling. 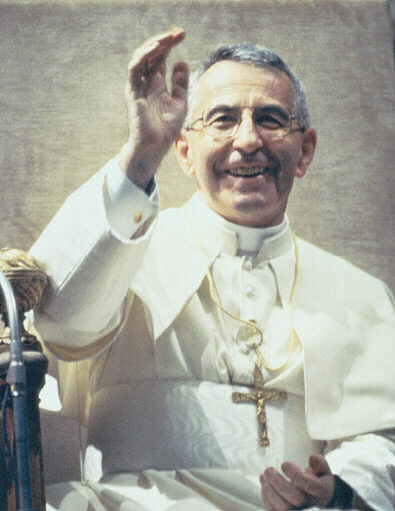 Possibly Juan Antonio Samaranch , Jr., of Spain had something to do with it. After all, his father was once the IOC president and Samaranch, Jr. happens to be the vice president of the International Modern Pentathlon Union, which is the sort's equivalent of FILA for wrestling. Well, that there are a variety of events in the Olympic games is a certainty, but I cannot see any striking similarities between, say, boxing, equestrian and the triple jump to know the requirements necessary to be considered a "core" sport. Luckily, the IOC solved that quandary for me. They compared 74 items in 39 criteria of eight themes to clarify how they made their decision. History and logic evidently played little part in the IOC's decision. But one should not accuse the IOC of not performing due-diligence re the matter. 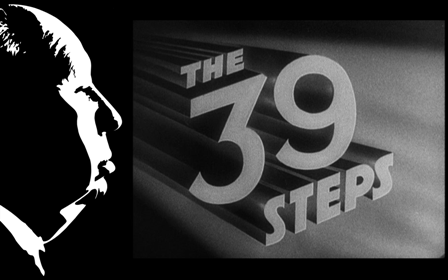 Their decision was based on a study of eight themes consisting of 39 criteria and 74 steps. While not kowtowing to a certain coach from New York (aside from saying "kowtow" is derived from the Cantonese, but not the Swiss ones who protect the Pope), addressing each of the 74 items of the 39 criteria of the eight themes is not the intention of this essay. But certain ones that are germane (or have the same parents in Middle English?!) to the predicament in which the future of Olympic wrestling finds itself should be discussed. A PDF file of the 74 items of the 39 criteria of the eight themes may be found by clicking here. The report on Beijing. Almost all of the 74 items of the 39 criteria of the eight themes can be shredded logically. Suffice to say the IOC stated the decision to drop wrestling from the 2020 Olympic Games, according to the ESPN article, "With no official rankings or recommendations contained in the report, the final decision by the 15-member board was also subject to political, emotional and sentimental factors." Basically they came up with a processed 74 items of 39 criteria in eight themes about wrestling but only arrived at an answer to "how do you feel about wrestling" in their findings. The criteria range from "perhaps that should be addressed" to the utterly ridiculous. (4) Universality (12) Global spread of excellence (22) Number of medals awarded at the last two editions of the Olympic Games. IOC Maybe it is just me, but I think medals are awarded in all competitions in Olympic Events. How many medals has Africa earned in the modern pentathlon? How about Asia, if one does not count Russia? (5) Popularity (17) Spectators - Olympic Games (30) Number of tickets available for paying spectators at the last two Olympic Games & (31) Number of tickets sold to paying customers at the last two Olympic Games. IF ESPN's data came from the London Olympics. It states that 116,854 tickets were available for wrestling sessions in the ExCel London Exhibition and Event Centre. Only 113,851 were sold. That is 97.4%. 3,003 people need a stern admonition. In 2008 in Beijing 72,009 tickets were available and 71,465 (99.2%) were sold. From the same report, only 63,923 of 96,779, or 66% of the available tickets were sold in Athens in 2004. But 63,000+ tickets sold in Athens in 2004 for more that used pita bread is pretty remarkable. (5) Popularity (21) Television coverage - Olympic Games. (36) TV coverage during the Olympic Games (et al). Third Party If one is not a wrestler one is certainly not going to be interested in a gold medal match that goes into overtime with a 1-1 score. What NBC really needs to show on television are some preliminary rounds in which one wrestler (hopefully an American) just destroys an opponent. Explaining a takedown or how nearfall points are scored is much more exciting via a replay than having wrestling commentators demonstrate them on a mat in an empty gym. (5) Popularity Digital media¹ (37-38) IF official website: Number of unique visitors & visits during the year and during the Olympic Games. IOC Who goes to FILA's Website? It is not as if "FILA" is recognized as a new word in the OED (although that would be kewl). In the United States people go to ESPN3 to watch top-tier wrestling matches when offered. People go to Flo-wrestling and other sites that show nationwide wrestling videos. People go to TrackWrestling to monitor tournaments in progress and, God forbid, people go to local Websites like this one or the LHSWA one. Why did the IOC track this data anyway? I would think FILA would be a better shource. (5) Popularity Digital media¹ (39-40) Number of visits in the dedicated section of the Website during the year and during the Olympic Games. IOC Olympic.org and its OCOG page (Organising Committee for the Olympic Games - yes, the spelling is correct, in Swenglish at least). In any case, I have never heard of the latter and, until recently, I never had a reason to visit the IOC Website. After viewing it, it still is not on my list of "Favorites." (5) Popularity Digital media¹ (41-42) YouTube: Number of videos viewed per sport during the year and during the Olympic Games. IOC "Dude, did you see that last YouTube video of Raphael Martinetti of FILA resigning? That was "rad!" OK, so that one did not "go viral." The IOC just needs to try a little harder. Are we to believe the IOC actually looked at and counted the number of views on all of the Dake vs. Taylor YouTube videos from the NCAAs? Honestly, this guy's whims could be a factor. (5) Popularity Digital media¹ (44) Twitter: Number of followers during the year. IF Following who? The 125th IOC Session will take place from 7 to 10 September in Buenos Aires, Argentina. 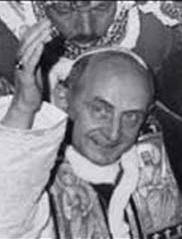 Could the new Pope Francis, who hails from Argentina, be of assistance? 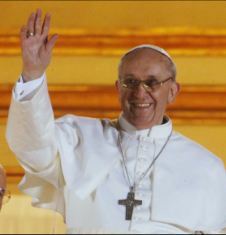 Pope Francis has grown popular by doing things other Popes would not normally do. Might he also put in a good word for wrestling on a continent on which it is not well known? I think not. Photographic and demographic evidence do not point towrd the Pope being a wrestling fan. 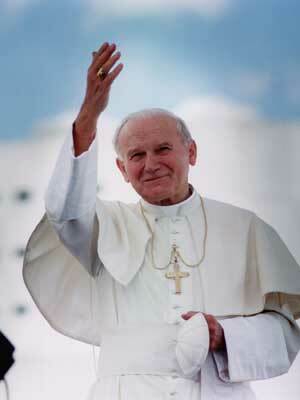 Below are photos of the last seven Popes, their countries of origin and the favorite sports of those countries. Could the Pope really sway the IOC? 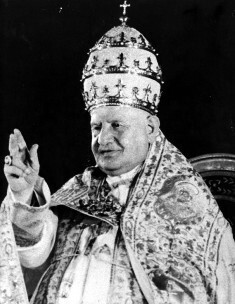 The IOC has been in existence since 1894 whereas Popes have been around for about 2,000 years. 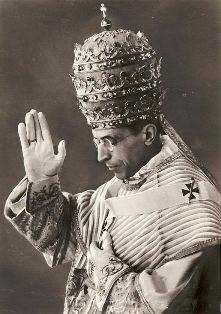 But not this Pope. 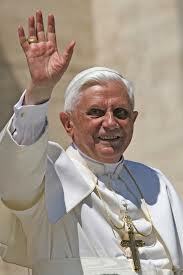 Not this Pope from not only a country with only one Olympic wrestler in London in 2012, and from a CONTINENT that entered all of 14 wrestlers in London. 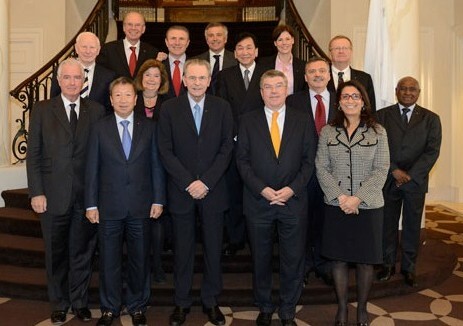 The current IOC Executive Board consists of 16 members from 15 nations: Germany, Switzerland, Spain, Belgium (2), Ukraine, Singapore, Australia, Ireland, South Africa, Guatemala, Sweden, Morocco, Chinese Taipei and the United Kingdom. According to the Websites listed below, :soccer is the most popular sport in each of the nations represented by the board members. In Switzerland...really? The Swiss should have a worldwide monopoly on goalkeepers, certainly, but playing center has to be a little gruesome on the mountainsides. And in Belgium - well, it is not actually the Netherlands, but it is low enough to have polders, so isn't that just water polo? Wrestling is third on the list in Singapore, so I suggest everyone goes to Mr. Ng Ser Miang's Facebook page and "Like" it. .
Soccer is the most popular sport in the world. It is the most popular sport in Spain, Japan, and it is the second most popular sport in Turkey, the three countries bidding to hold the 2020 Olympics. And there is nothing inherently wrong with soccer. But, well, on a world championship level (or any level, actually) on can watch a flawless soccer game, resulting in a 0-0 tie and sent to a free kick finish. In that time a full wrestling championship involving ten matches could be watched with all of them going into overtime. Episode V: What's it All About, Rogge? It is not about money - if it was someone would have written a check by now.. It isn't that there are too many sports - the 25 "core" ones award well over 900 medals as it is, so what is a few dozen more? It is not, as the IOC claims, about youthful enthusiasm - few sports require one to start at a younger age to be successful. It isn't about Facebook and Twitter and YouTube. It isn't about the number of athletes the IOC has to manage - money would solve that. (If not, then make soccer exciting by eliminating goalies!). It's the system, man. FILA did not show the respect the IOC members expect (as in too few would genuflect), causing the IOC to reject every basic "core" aspect wrestlers undoubtedly project. It was about how money was spent and upon whom. It was about nepotism. It was about an unforgivable lack of information and communication between FILA and the IOC, FILA and national organizations and, which one would not think would be needed because of FILA, between the IOC and national organization..
Now, it is up to the three people below, and their compatriots in other nations, to plead their case with the IOC in Leningrad, and should wrestling make that cut, in Buenos Aires. These are the three Americans on the IOC, although none are members of the Executive Committee. It should be their job to convince the IOCEC members of the growing popularity of the sport in the United States. Other representative, in particular those from Russia, Azerbaijan, the Ukraine and Turkey should also be heavily pleading their cases. Committees like the CPOW and causes like the "2020 Vision" campaign are occurring across the globe. They may help in the future, but their only real impact will be to garner more money to continue the growth of the sport in the United States and other countries at the grade school level. 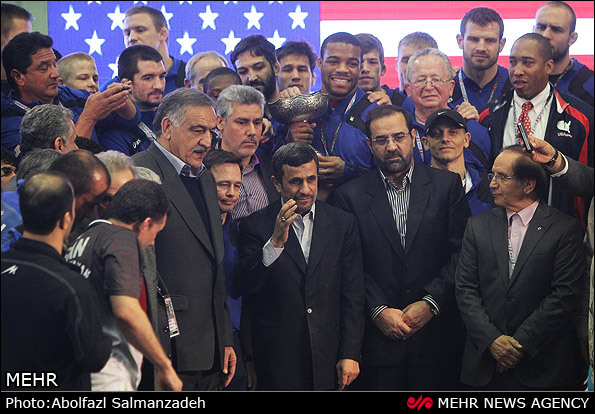 One of the best reasons for the IOC to allow wrestling to continue in the Olympics is the following photograph with the U.S. and Iranian national teams and the Iranian President Mahmoud Ahmadinejad. Sure, it could depict country's mentally disturbed president gloating with his wrestlers after having defeated "The Great Satan." In proper perspective, though, it shows a sport bringing together athletes and even a politician from countries with severely contrasting beliefs and agendas, in an aura of competitive appreciation and goodwill. The IOC should not need anything more. There has actually been talk of boycotting the 2020 Olympics if wrestling is not reinstated. That is an utterly ridiculous idea, as it is incredibly unfair to thousands of athletes in other sports. It is much more feasible for national wrestling organizations to hold their own world championships. Oh, wait, they do. But those are run by FILA. If FILA is to be held responsible for the demise of Olympic wrestling, then why not replace FILA with an organization that can better represent wrestling to the IOC, or, perhaps even better, on a world-wide level which would exceed any exposure wrestling derives from the Olympics? Just the resources of the United States and Russia should be able to put on a show. With no place left to go other countries will want to participate. It is not worth thinking about yet, but qualifying comes to mind. I mean, an Olympic bobsled team from Jaimaica? I am not holding my breath. That it has gone this far is beyond comprehension and to lay all of the blame on FILA does not say a lot for the international wrestling associations as a whole. If FILA was to blame, then those who empowered FILA in the first place have to be held accountable. Blame has to be applied lest no lessons are learned. What wrestling has is not working if Olympic Dreams are not an option. Competing in the Olympics is not the primary reason one chooses to start wrestling, but Olympic names are those that are remembered the most. A "The Buck Stops Here" placard has to be placed on someone's desk though before one trickles down to a third-grader's cubbyhole.